As I’ve written about before, at the moment the Citi Premier℠ Card is offering its best ever welcome bonus of 60,000 ThankYou points after spending $4,000 within three months. This is a phenomenal welcome bonus on a $95 annual fee card that has its fee waived for the first year. The card has excellent bonus categories, and I tend to think that ThankYou points are quite valuable. At a minimum, ThankYou points can be redeemed for 1.25 cents each towards the cost of an airfare purchase, meaning that 60,000 points will get you $750 worth of airfare. That’s a bonus that anyone who doesn’t have the card should be considering. 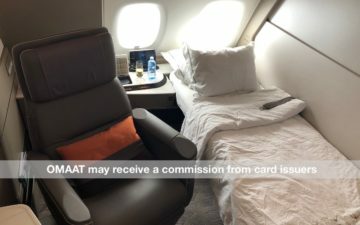 Many people probably know that transferable points can be valuable for international premium cabin redemptions, but many have asked if there are more practical ways for the “average” person to use Citi ThankYou points for travel within North America. In addition to being able to redeem Citi ThankYou points towards the cost of airfare, in this post I wanted to look at one other creative way to use ThankYou points for great value on travel within North America. 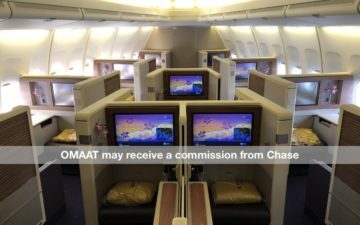 Citi ThankYou is a Singapore Airlines KrisFlyer partner (as are Amex Membership Rewards and Chase Ultimate Rewards, for that matter, though for these purposes I consider that less valuable). Since last year, Singapore and Alaska have had a partnership, including the ability to redeem Singapore KrisFlyer miles on Alaska. For the most part the values are really, really good. There are tons of opportunities to get outsized value there. While the above can represent great deals, keep in mind that sometimes airfare on Alaska can be really cheap, in which case it could make more sense to redeem points earned with the Citi Premier℠ Card as cash towards the cost of a ticket. To give one example, a Los Angeles to New York ticket would cost just 12,000 KrisFlyer miles, but even better is it you can redeem just 9,305 Citi ThankYou points, and then you’d even earn Alaska miles for the flight. There are lots of great uses of the ThankYou points earned with the Citi Premier℠ Card. While I personally like to redeem for international premium cabin redemptions, it’s tough to beat some of the redemption values available on Alaska when transferring points to Singapore KrisFlyer. Hopefully this is a useful partner for anyone looking to redeem their ThankYou points for flights a bit closer to home. This is brilliant- thank you. I wish you and your writing team would lean more toward this sort of high-value, little-known-award-possibility content rather than humor, fluff, social justice outrage, etc. In my opinion, you’d make your blog out to be a much more no-nonsense alternative for former readers of The Points Guy, like myself, who left that blog because it’s nothing but the drivel I mentioned above. Am I still eligible for the 60K thank you points if my Thank You Preferred card was closed by the bank recently due to no activities? Don’t forget that you can also redeem Asiamiles for travel on Alaska directly online! I just checked it, and a one-way first class ticket from the west coast to the east (LAX to DCA, for instance) runs 45K miles. One of the best ways to fly domestic with thank you points is VS flying club on delta metal. 22,500 miles for domestic first class on delta are readily available. Many times economy awards are not available, but first class is. If you live on the easy coast and don’t fly west coast much. Alaska airlines is not an option. Heavily off topic, but @lucky weren’t you supposed to fly FSP-CDG about a month ago? @lucky how do you know if what Alaska shows as available award tickets are bookable with Krisflyer miles? @Ryan: I believe you can check it on alaskaair.com by checking the “Use Miles” button. Saver in Economy is 7.5k-12.5k, and Saver F is 25k. Looks like horrible value for first class, other than possibly within zone 1. Last time I tried to do this, SQ agents could not see saver availability on Alaska. It appears that not all saver flights can be accessed. Why we still cant book SQ flights with AS miles? It has been a long time since the partnership started. Anyone knows the reason for the delay? I live in the Los Angels area and go to mostly to Asia…with almost no domestic flights. Because of this situation, I decided 3 years ago to replace United Airlines with EVA Airways [and Singapore Airlines] as my preferred Star Alliance Frequent Flyer Program. I then signed up for the Citi Thank You Premier 2 years ago when the bonus was 40,000 points. And the way things have turned out for me, I am very happy with this combination. I redeem the EVA miles and the transferred Citi Thank You points with EVA in a very specific way that gives me the most value. It would be the same value no matter who does it. EVA’s RT flight from LAX to Taiwan is about $4,500-$5,500 in Royal Laurel [Business Class] while Premium Economy is about $1500. But if I call EVA or my travel agent to check availability of Royal Laurel, I can buy an upgradeable Premium Economy ticket for about $1500-$1600. Then EVA is contacted to redeem 70,000 miles [35,000 each way] in my FF account with them and my ticket is upgrade to Royal Laurel. I have made 3 such upgrades in 3 years. There are several advantages in doing this. EVA miles expire 36 months after they are earned so this is a good way to use them up before expiration. Because EVA has 3 flights a day from LAX to Taiwan…including 2 within 1 hour of each other…there are plenty of seats. I also think that it is probably easier to buy a ticket with cash that will be upgraded than to try for an award ticket. And to fly on an upgraded ticket, I would still earn 13,562 miles for the RT flight rather than 0 miles on an award ticket. So for me, I pay $1500 or so and 70,000 miles for a Royal Laurel ticket that is worth between $4,500 and $5,500. The $3,000 to $4,000 savings for using 70,000 miles is worth between $0.0428 and $0.0571 per mile. To place a value on this for the Citi points that I earn, I would have to charge $23,333.33 in travel related expenses x3 to earn 70,000 points. And when I redeem the 70,000 points on the upgrade for the $3,000-$4,000 in value, that is worth 12.86% to 17.14% for travel related charges. Even though this might not work out for most people, it is perfect in my situation. 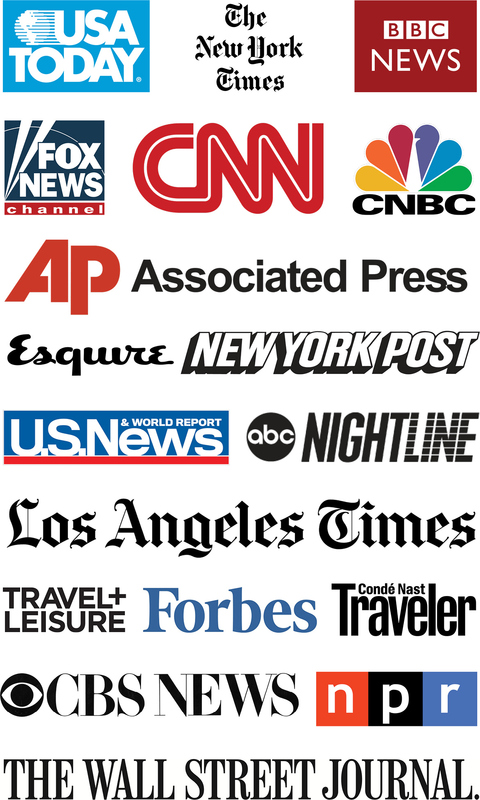 I don’t really travel a lot….just 4 trips a year….but when I do fly I tend to travel far. I earn miles pretty much going to where I want to go without making mileage runs like one of my friends does. A plus, was that I have already earned Gold Status on Star Alliance to year 2020 by using the EVA FF program. They give you 24 months to earn 80,000 miles that last for another 24 months. I could never have done it on United’s MileagePlus program because I don’t necessarily fly 50,000 miles each calendar year. I also don’t fly enough UA flights or pay enough money for those particular flights to even come close to getting elite status. Since Virgin got acquired by Alaska, can you transfer TYP to Alaska directly? 1:1?